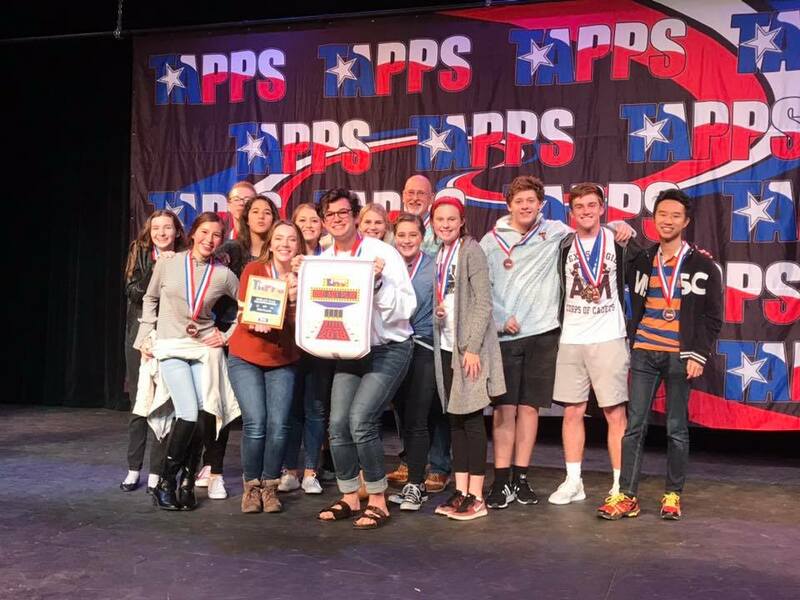 Brook Hill cast takes THIRD PLACE at the TAPPS State One Act Play Championship! 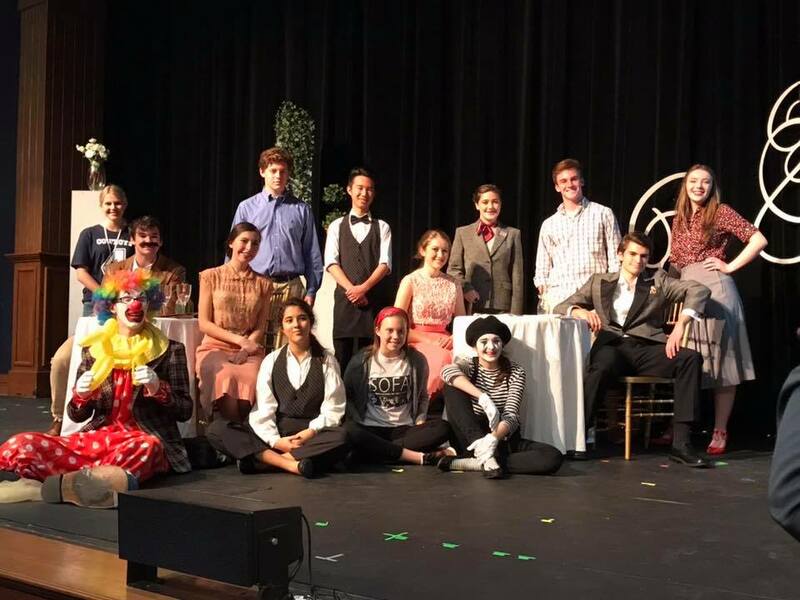 On Thursday, November 8, Brook Hill drama director Glenn Ballard and 14 of his students were in Kerrville Texas for the TAPPS State One Act Play Championship round. 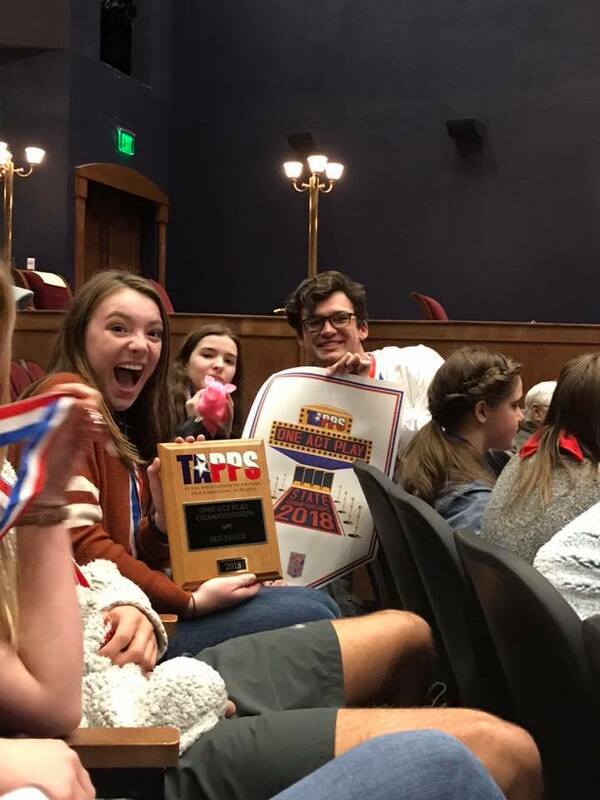 This was Brook Hill’s first time to advance to the State Round, and did so by winning the TAPPS Division II District 2 One Act Play Runner-Up Award at the district contest held in Gainesville on October 25-26. At the District level contest Brook Hill students received several individual honors. Emma Hamlin received the Technical Award for lights, while Justin Powell won the award for Stage Management. Annaka Willis received the Div II District 2 award for Best Actress. Rachel Berkley and Zoe Ward received the Honorable Mention for acting, and Hannah Weber and Cole Fitzgerald received All Star Cast honors. At the State Championship, Brook Hill competed against seven other schools from Division II. The play titled “Check Please” was also performed as part of the 20th Annual Fall Dinner Theatre. 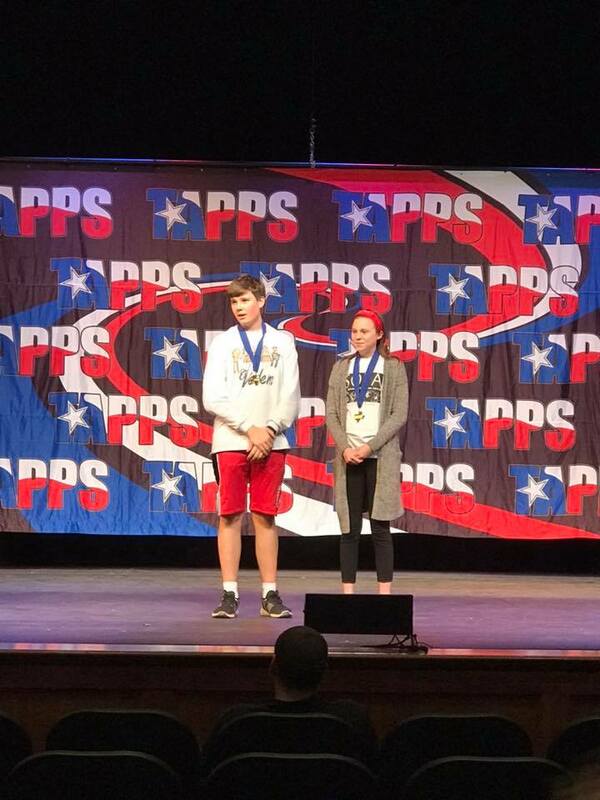 Five cast members received special recognition for their work at the State Championship. Justin Powell and Kegan Gunter received the Honorable Mention Award for acting. Emma Hamlin won the All Star Technical Award for running lights. 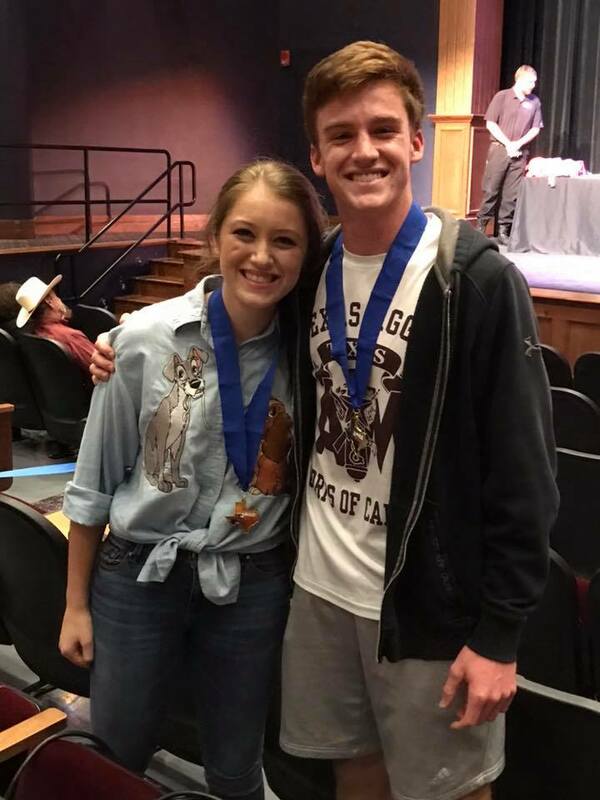 Rachel Berkley and Cole Fitzgerald won the All Star Cast Award for acting.